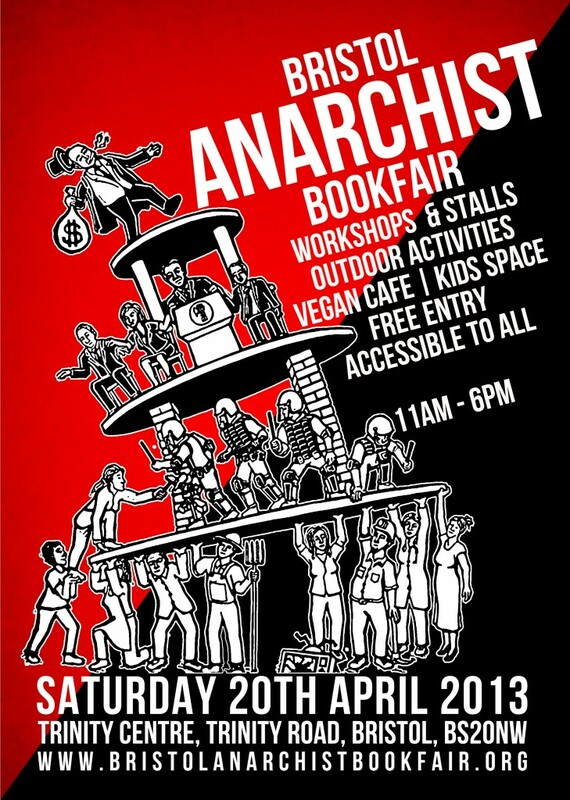 After a year off we’re back for our 5th Bookfair in 2013! The Bookfair Collective has switched venues this year to somewhere with more outdoor space, and we’re a little earlier in anticipation of another hot April. Taking the outdoors theme a little further, expect a potential playfull mix of bookfair and fayre. But we remain deadly serious about the politics, we live in dramatic times. There is much to play for. Free up your day and join us for free. Bristol Radical History Group will be holding a series of talks at the Radical Histoy Zone which will be based in the Hydra Bookshop.